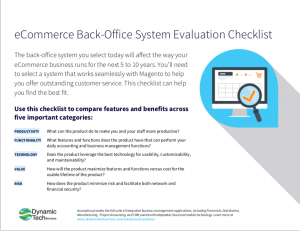 The back-office system you select today will affect the way your eCommerce business runs for the next 5 to 10 years. You'll need to select a system that works seamlessly with your eCommerce solution to help you offer outstanding customer service. 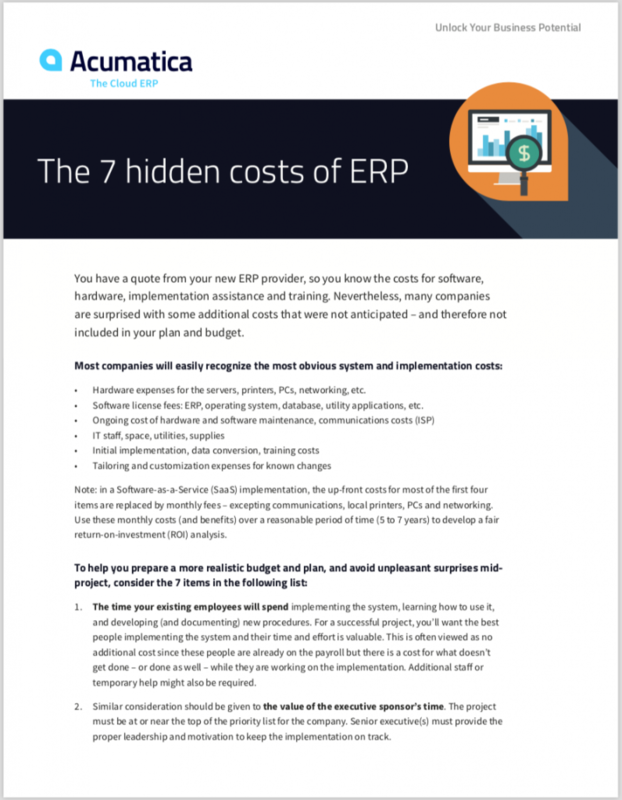 Don't settle for an ERP system that forces you to re-enter data from your website. Or one that can't see your whole inventory across channels. Or one that doesn't automatically notify your customers when an item has been shipped. Instead, demand a back-office solution that makes it easier to provide outstanding service across all your channels. The Commerce Evaluation Checklist will help. Just complete the form, and you'll be able to download this checklist in seconds.